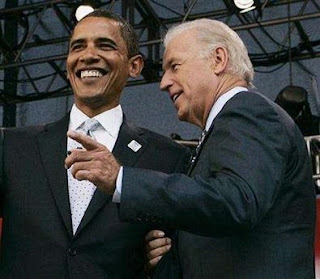 Obama Picks Biden as VP ~ The Bucky Channel - The World of Sports from Wisconsin's Perspective. Don't worry conservatives, when John McCain announces his VP choice as a birthday present to himself, I'll post that up here too. But for the time being, it appears the Democratics will be represented this year by a Obama/Biden ticket, as Sen. Joe Biden of Delaware gets the nod. An Obama/Biden ticket looks a hell of a lot better than a Kerry/Edwards ticket ever did, as well as the Gore/Lieberman campaign (the 2000 version of Gore anyway, not the popular "30 Rock" cameo version of him). Biden's tried for the White House twice, obviously unsuccessful. Where he's from and what he's about probably won't matter, as he's basically the old white guy campaign Barack needs to win over voters still uneasy about not voting for an old white guy. Even though it's apparently official, I'm still waiting for my text message!